Synthesis brokers fixed, fixed-indexed and immediate annuities. We work closely with individuals, businesses and fee-only advisors as an annuity resource. We have no loyalty to one carrier over another. Our loyalty lies with those who ask us to help them find the best contract. We represent all the best-in-class carriers, so we can source the right annuity for your needs. Synthesis’ founder, Patrick Johnson, is a Certified Financial Planner™ (CFP®) with more than 20-year tenure in the financial services industry, including a term as President of the Colorado Financial Planning Association. 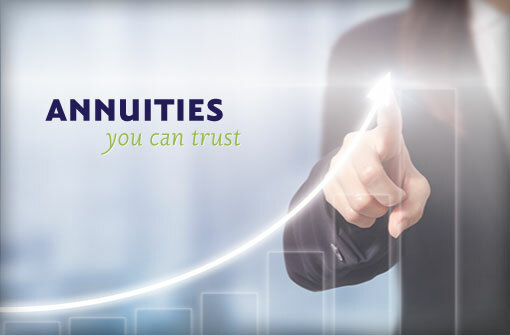 When appropriately utilized, annuities are a powerful tool for people to utilize with their financial planning. As a practitioner, Patrick had many clients and fee-only advisors who consulted with him about how to access and place insurance products which, when inserted into a well-diversified portfolio, would reduce risk and offer returns in line with bonds and CDs. He also counseled on how to structure income annuities for those needing to create a consistent and reliable income stream. A couple of years after founding Synthesis, these same clients and referral sources started asking Patrick if Synthesis brokered fixed annuity contracts. We decided that fixed, fixed-indexed, and income annuities should be a part of our offering as these are excellent investments for those seeking to safeguard their finances. The commissions paid also generate additional revenue for those in our communities in need. Synthesis will not broker variable annuities. It is our opinion that these investments offer onerously high-fee environments and offer no guarantees to the investor on the principal invested, only to beneficiaries. Synthesis is committed to bringing peace of mind by safeguarding clients financial lives. Variable annuities, in our opinion, simply do not fit into this philosophy. It is our experience that many people own annuities which they do not fully understand. We want to help alleviate any concern or confusion as to whether or not the contract is serving the individual’s needs. To this end, we offer a complimentary consultation for anyone who owns an annuity and who would like clarity. It is no secret that annuities pay outsized commissions. Often, and as a function of commissions, contracts are better for the agent than the client. We specialize in finding the best contract, regardless of commission. The reality is that even in the lower commission spaces where the contracts are more client-centered, there is significant revenue that can be created for our charity partners. To learn more or purchase an annuity, call, email or fill out the form below and we’ll get back to you within one business day. We promise not to hassle you or sell your email.